If you aren’t aware already, customized pens can turn any small scale business or company to a highly recognizable brand. Promotional pens can be ideal in dispersal of your significance to prospects. Above all, it’s a comparatively inexpensive promotional option and with our promotional logo metal pens which comes in two color options of white with black and a full back with a half rubber grip area for a comfortable and soothing writing grip. It has a silver color ring at the middle and a uniquely designed silver clip. 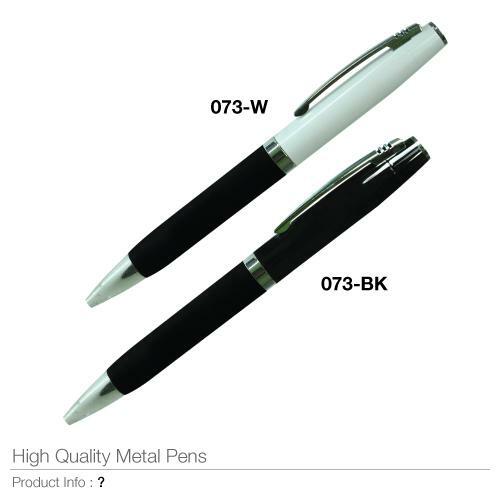 The 073 metal pens are a powerful tool of publicizing your company name, website address or logo for advertisement or promotional purposes, giving your brand the desired exposure at a good and reasonable cost. Potential business associates, customers and clients will always be pleased about a little openhandedness in the form of a helpful writing tool. The 073 pens have a non refillable ink capacity but can last a long time. 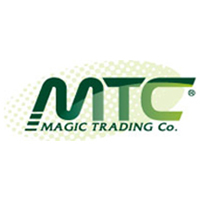 As a means of advertisement, it is branded by digital printing with epoxy coating, a special kind of printing available in magic trading company in the UAE. The epoxy coating is done at the top of the pen and can be permanently attached to the logo pens with your company logo. Hence the recipient can see and hold you business ideas any where they go time and time again. It comes with a twist mechanism, you twist to expose the nib when ready to use and twist back when not in use. If you need a little enticement bear in mind that customized metal logo pens are among the easiest promotional gift items functional at any moment of the day. From personal to corporate uses, the 703 metal logo pens can also be used as souvenirs at seminars and business meetings hence where ever your clients go your company name and brand goes with them. Available options: full black color or white with black color. Supplementary suggestions: aluminum pen box, clear acrylic pen box, velvet pouch, wooden pen box.